The article linked below comes from a pro editing series but I wanted to add it this week because the basic concepts apply to any level of editing. As I have mentioned before there are many ways to approach an editing workflow and each one has advantages and disadvantages. 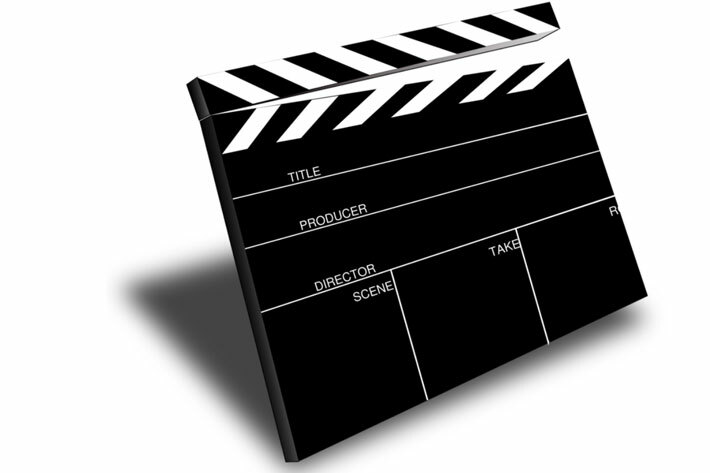 Sound sync is a complex area in filming, and the clapper is still king. Now Ari Krupnik is designing a simple solution that mixes software with satellites, and he wants your feedback. Keep reading! A website as ProVideo Coalition is the ideal place to ask people to try something new, so I told Ari Krupnik I could share the information with readers, if he told me more about how he got interested into creating a timecode system to remove the clapper from its throne. That’s how it started, in the weeks before NAB 2019. Because of the event, I decided to hold the story for a few days, so it would not get lost in the middle of all the NAB coverage. So, now, for something completely different, here is the whole story of how LTCsync became a project. After looking at a number of areas, he decided that sound sync was a good place to try doing something different. He comments that “there are some excellent products on the market like Tentacle and BETSO, but many people still use the clapper to synchronize dual-system sound. Either the price is too high, or the complexity. So I decided to design a timecode system that is simpler to use than the clapper.” The software now available and the hardware that will come next make for a new approach to the sound sync problem. The team is still working on the hardware, but the software is taking shape already, and Ari Krupnik needs feedback from users willing to try it. The software is open-source, he says, “so anyone can adapt it to their needs. We like to release software early and often, so we can catch problems early and correct them”. The goal is simple: to make the software compatible with the rest of the existing ecosystem, so the software should process files from any vendor. That’s the reason why Ari Krupnik needs help. He wants to “know how our software performs in the real world. We’re asking people who use LTC in their work to download our pre-release and try it”. 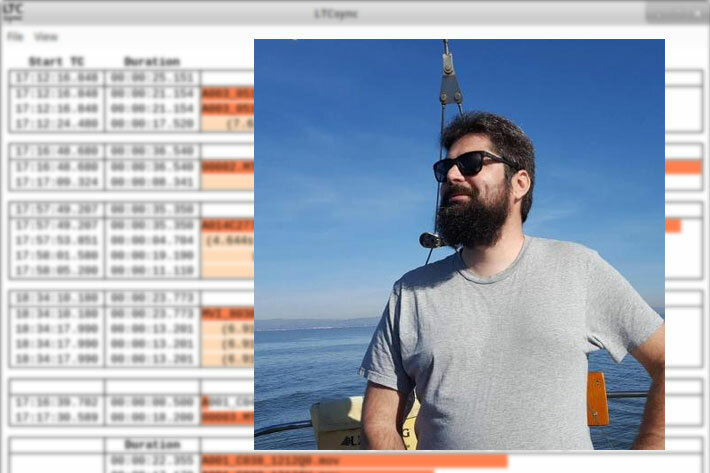 LTCsync runs on Windows, MacOS and Linux. You can download a build for your OS following the link. The project home is also accessible following this link. 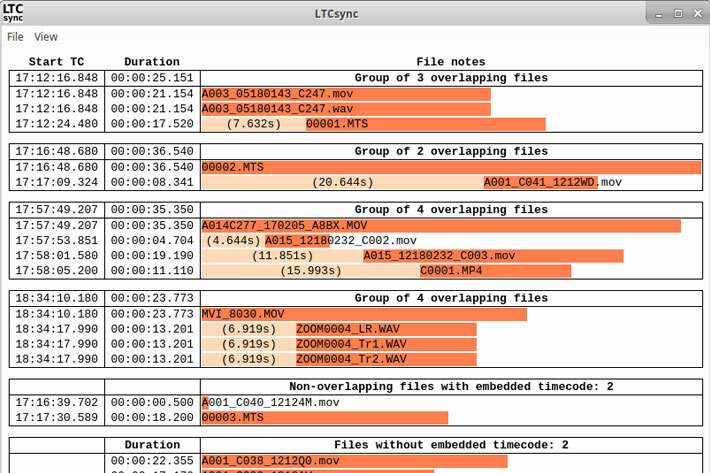 The post LTCsync, a timecode system that is simpler to use than a clapper appeared first on ProVideo Coalition. Make no bones about it, digital cinema cameras have gotten smaller. From the Red Raven to the URSA Mini Pro 4.6K G2 to many more the size of these cameras have progressively gotten smaller and smaller. It is also time to have batteries sized to fit these cameras well instead of standing taller than a camera. Bebob has taken this to heart and showed us their V-Mount Micro Batteries. The Bebob Vmicro battery line is available in a few different capacities: 14,4V 43 Wh, 98Wh and 147Wh. Compared to their bigger brothers they are actually much smaller: 75 x 101mm. Each model has a twist-D-tap output that can be used on both sides and a 5V USB output. The twist-D-tap features three pins, a positive ground pin in the center, and a negative one on each side of the positive. You can plug in your cable one way or flip it around and connect it the other way. The V150MICRO also provides a USB port for charging your mobile devices on location. Making batteries smaller makes complete sense to me. There are zero reasons to have a rear tail fin, large battery, on a smaller camera with a large external battery if you have other options available and work for you and your shooting situation. The smarter sized battery on a smaller camera may even open up room accessories to be mounted to the camera. 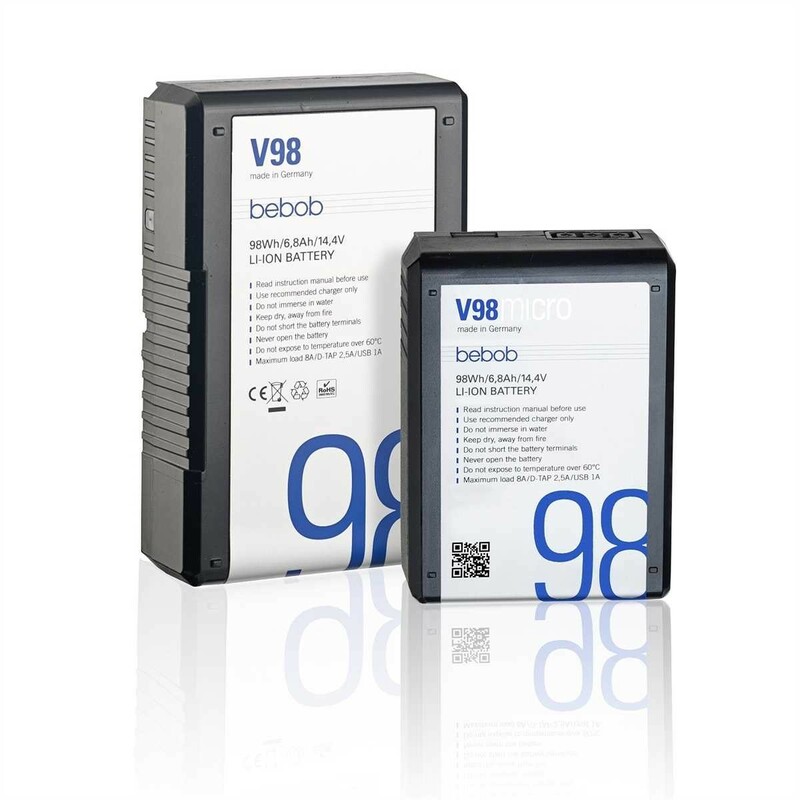 Now, the Bebob Micro batteries may be smaller, but they are the same weight as the larger batteries. 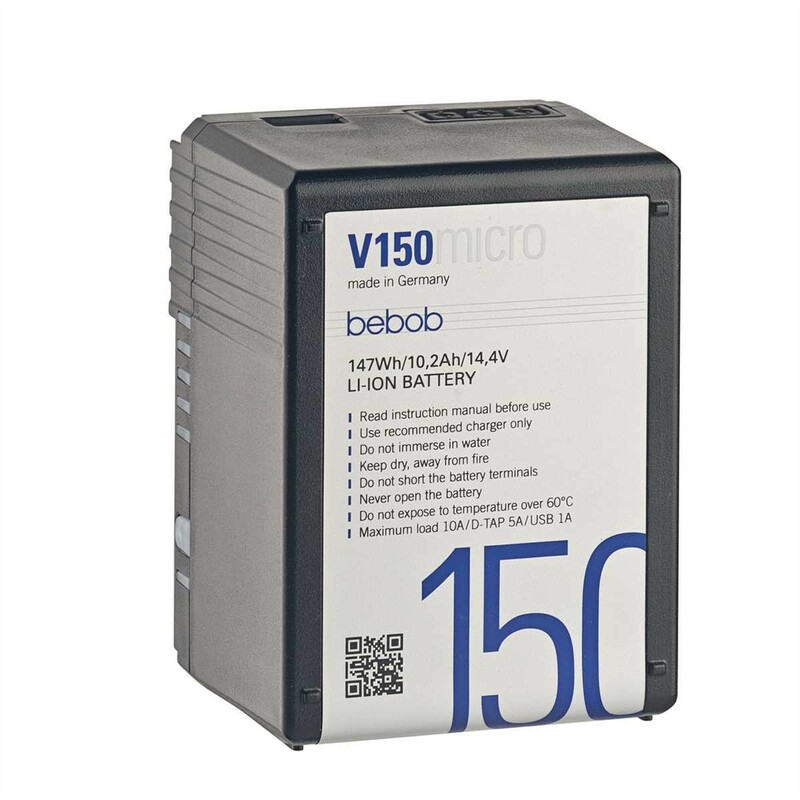 The V150MICRO features lithium-ion trimix cells made in Japan and offers a max draw of 10A and a capacity of 150Wh. It has a 5-step LED fuel gauge which can be optimized for Arri or Red and is compatible with Bebob, IDX, and Sony chargers. Charging time is approximately 3 hours when using Bebob VS2/VS4 chargers. The post NAB 2019: Bebob shows off their V-Mount Micro Batteries appeared first on ProVideo Coalition. The post Telestream Takes Home NAB 2019 Best of Show and Product of the Year Awards appeared first on Telestream Blog. EOSHD Gear Sale ֠Nikon Z7, D850, Canon 1D X Mark II and more treasure!! Read moreEOSHD Gear Sale – Nikon Z7, D850, Canon 1D X Mark II and more treasure!! The post EOSHD Gear Sale – Nikon Z7, D850, Canon 1D X Mark II and more treasure!! appeared first on EOSHD. A few days ago a friend who got hired to write a show called me after the very first meeting with the TV execs during which she got to know how much they approved/disapproved her Bible and hear their “notes”. Notes-taking is a tricky business when you’re in a hierarchy, and if you’re paid to write or direct, you will get notes. 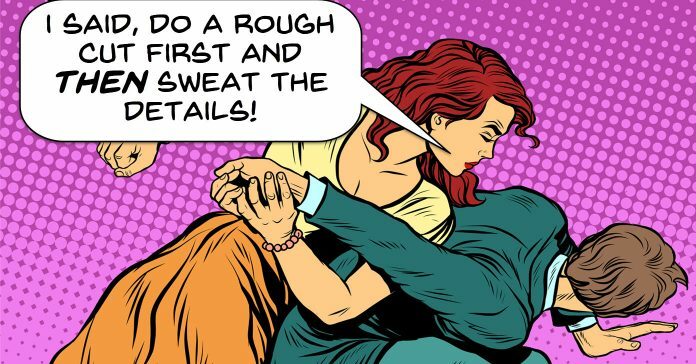 Most notes will probably make you want to puke or scream but what do you do once your “boss” tells you: “You should do this! You should change that!“? To Follow or to Ignore? I think the first important point is to recognize that to handle a note the best way possible and to be able to discern if it’s a note worth following, one must let go of their ego. -listen to the actual note. And the same way we should refrain from opposing notes, we should also refrain from nodding to everything. As I was talking with my friend I realized that one of the thing I have internalized came from a similar advice shared by Shonda Rhimes and Steven Soderbergh. it that you might want to dig deeper. As with most things in life, the answer is in the middle path. It’s neither about rejecting or fully agreeing with a note for the sake of it but rather listening to find out what’s underneath the note. The job of the storyteller is to tell a story the way others can’t. The person who gives the note is giving it with the words and imagination they possess and that will likely feel frustrating and out of tune. But if one can swipe shoes and try to understand what bugs the note-giver, one can really decide if it’s a note worth following or discarding. When you get into that Studio environment where there’s a hierarchy and people whose jobs it is literally to being paid to give you notes to turn things around; he (Steven Soderbergh) had developed such a reasonable attitude to it that in no way compromised what he was trying to do creatively. It was all about respectfully hearing a person’s point of view, it was all about saying “Ok, the note might be wrong, or the suggestion might be wrong, but they’re saying it for a reason“. And you have to figure out what that reason is. Sometimes that reason is ego, or trying to impress someone or whatever that is, but very often there is a creative reason. And you can either get it all out, or you can internalize it and think about it yourself. I have to say the first year there were times that were really heard because my response, maybe that’s a good response, I don’t know, my response to what I call “stupid notes” from the Network is always silence, because my whole thing is that if you don’t have something nice to say, you don’t say anything at all. So they’d give me a note that I would find horrifying, like really horrifying, ‘Can’t Meredith just be nicer?’, ‘Can’t Meredith and Christina just hug?’ and my response was always, you know you’d be on the phone on this big conference call, and my response would always just be total silence, because there was nothing I could of to say, that wouldn’t be insulting. And in that silence, what would happen for me, and still does, is after a minute or two, when they’re wondering if you’re still on the line, it gets filled with nervous chatter, because they are just as scared as you are, I mean that’s the reality. They are just scared that they don’t know what they’re talking about, and what you have on your side is that you have the vision, at the very least you feel like you know what you were trying to achieve. So it gets filled in with this nervous chatter on their part, that sort of comes around to something, and then it enables me in that silence to try to figure out what it is that they are trying to say. Because I think that even the most stupid note is a note that is coming from something, no matter what the note is. And sometimes they are painful, sometimes they are really painful, but every note has a point. There is something underneath it that they are responding to, they may not have a way to express it, they may not have a way to verbalize what they are trying to say, but if you really let them talk long enough, you will figure out what it is that is the problem. I’m pretty positive Neil Gaiman said the same thing but was unable to track back the quote and source, so you’ll have to either believe me on this one or prove me otherwise. Bottom line, my conversation was a good reminder that every professional (no matter the profession, really) will have to deal with notes as soon as their work involves either collaboration and/or hierarchy and the best way to leverage a note’s potential is to remember that under the first layer of possibly clumsy words something much more important and interesting might be hiding.